CITING “credible sources within the administration,” Archbishop Emeritus Oscar Cruz says Kris Aquino is running for vice president in 2016. If that happens, isang iyak n’ya lang, sira ang kalaban. I don’t know which was more shocking: Kris Aquino running for vice president or Archbishop Cruz cozying up with administration people. Citing “sources within the administration,” Archbishop Oscar Cruz, controversial TV host Kris Aquino is running for vice president in 2016. Pilipinas Got Problem. Last Tuesday, April 2, Archbishop Oscar Cruz reported hearing rumors that Kris Aquino’s running for vice president in 2016. If that’s an April Fools’ Day joke Archbishop, you’re a day late. JV Ejercito declined Jinggoy Estrada’s offer to produce a TV advertisement endorsing his senatorial bid. 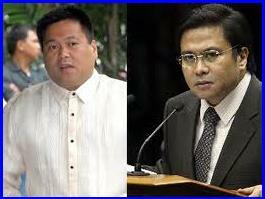 Hurt by the rejection, Jinggoy declared that he’s entering a “state of war” with JV. The Commmission on Elections revealed that from February 12 to March 22, UNA’s JV Ejercito was the top TV advertiser among senatorial candidates. Ejercito has consumed 26 minutes of airtime and 70 percent of Jinggoy’s patience. Since the campaign period started, 17 senatorial aspirants with UNA’s JV Ejercito on top have consumed at least a minute of TV airtime. Surprisingly, Cynthia Villar was nowhere on the list. She has consumed all of 2012. In local politics, Alfredo Lim and Joseph Estrada have both consumed 20 hours of mindless mudslinging. As of March 22, Team PNoy’s Grace Poe and Alan Peter Cayetano have each consumed 60 minutes of MMK. GMA Network had a total of 163.5 minutes of campaign ads – but that’s nothing compared to ‘Gandang Gabi Vice’ which had more than 10 episodes of political promos. The latest Pulse Asia survey conducted from March 16 to 20 is out! Chiz Escudero has bounced back to No. 2. Sorry Ramon Tulfo! Sorry Mr. and Mrs. Ongpauco! According to a Social Weather Stations survey, 4 out of 5 Filipinos are satisfied with their life.The survey was conducted in Congress. In a recent SWS survey, 81 percent of Filipinos said they were satisfied with their life. The rest were honest. President Aquino refused to sign into law a proposed measure that would have allowed short people to join the police force. This is all your fault GMA! North Korea has declared war against South Korea. That’s really bad. 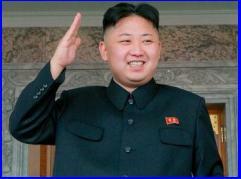 The only thing worse is Kim Jong Un’s haircut. North Korean leader Kim Jong Un threatens to “dissolve” the United States. Shouldn’t he dissolve his excess fat first? Born to a former leader, Kim Jong Un is a spoiled, bratty, attention-seeking person who’s reportedly fond of basketball players. Are we sure he’s not an Aquino? hehehehe..i enjoyed this so much..keep it coming professional heckler..
A survey found that only 1 in 7 was happy. The other 6 were dopey, sleepy, bashful,…….. I crashed my car into a police car yesterday. This dwarf cop got out and came over. ” i’m not happy ” he said. Kris aquino would continue the family tradition of selling out/off patrs of the country, and is already in paris negotiating with disneyland – as long as she can be snow white and have 7 dwarfs to service her. Only 1 in 7 was happy. 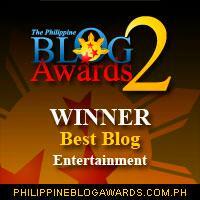 “For some Pinoys, suicide seems the ‘only option'” abs-cbn headline. did these peoole not read the sws survey telling them they are happy, or was it the thought of binay and aquino in the senate which made them despair. cracking jokes about suicide is one of the signs, according to the article. must go. the gas oven beckons. kris aquino returning to tv is the final straw. death is preferable to that.